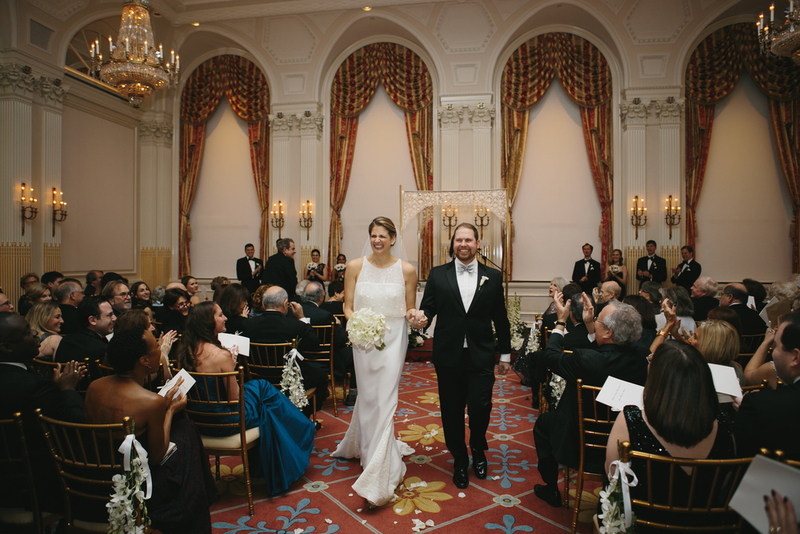 Rachel and John's winter wedding at the University Club of New York sparkles with timeless sophistication. 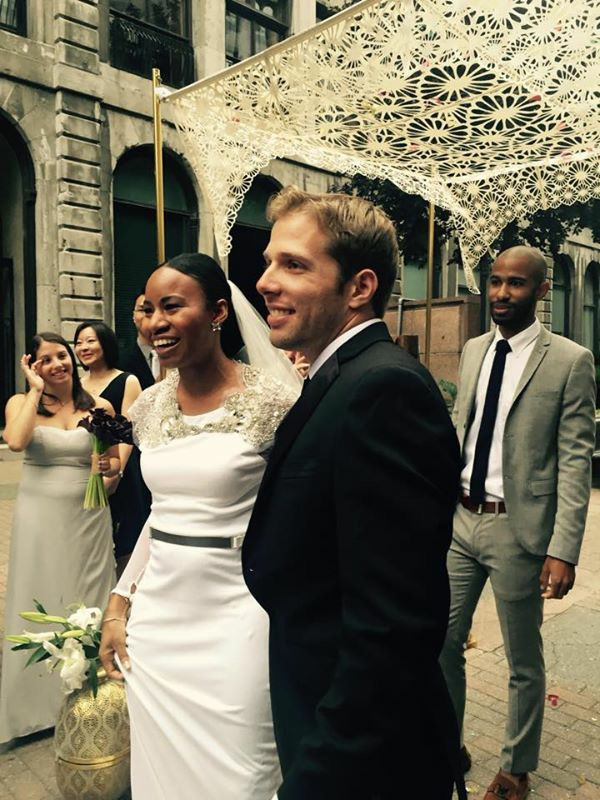 The couple exchanged vows under our Arched Chrysanthemum chuppah, complemented by elegant florals by Verde Flowers. Olli Studio Photography captured every moment of this beautiful evening. These videos are so fun to watch, and you can also see what a great job the couples did with the assemblies and how the chuppahs look in action. All of our chuppahs travel well and have easy DIY assemblies. I look forward to sharing more wedding videos soon! The photos of this beautiful 2014 summer wedding at Brooklyn Botanical Gardens make me so eager for the coming season! The Arched Chrysanthemum chuppah in the soft afternoon light, with garden greenery, bright florals and flowing colorful dresses, all together create a feel of easy vintage romance. Photography by Ryan and Heidi of Forged in the North, florals by Molly Oliver Flowers. As a contemporary artist, there are few greater joys than exhibiting in a contemporary art museum. 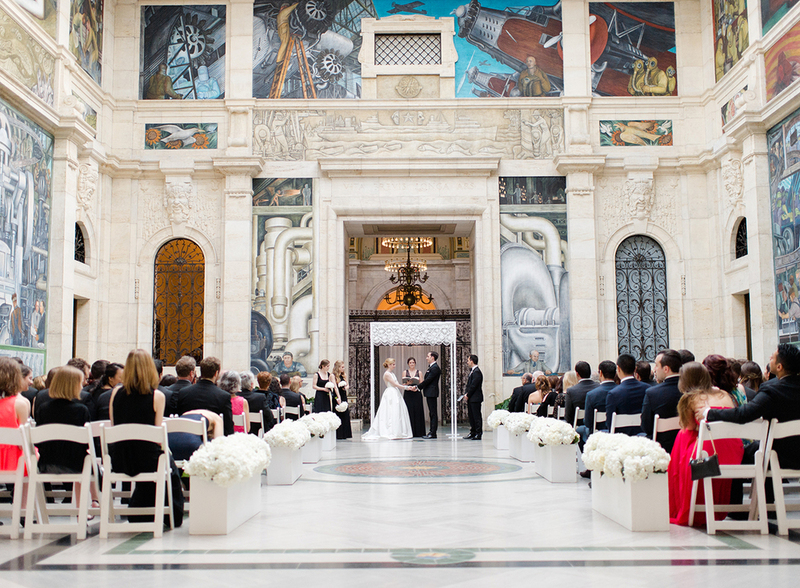 What a thrill it was to install my work in the clean white Sky Room gallery at the New Museum for this downtown summer wedding. The experience connected my art practice to Chuppah Studio in a way it hasn’t before, and it was a truly special day for me. 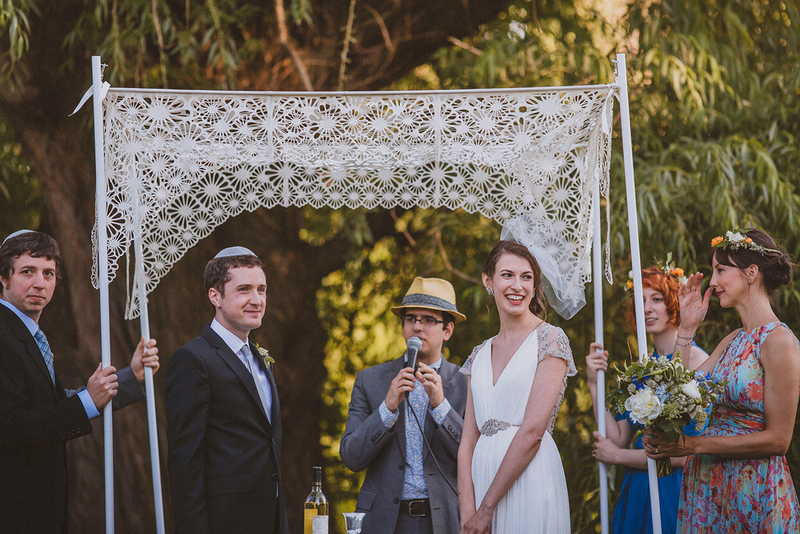 Sophia Negron Photography captured the ceremony under the Chrysanthemum chuppah, as well as all of the gorgeous moments. So many clients love our handheld chuppahs because they are pretty, affordable, lightweight, and easy to set up. This year many couples marrying outside the NYC area asked me how to make the handheld chuppahs hands-free. We now offer pole mounts for indoor or outdoor set up on hard ground. Just follow these easy instructions. You provide the bricks, and we’ll provide the mounts, screws, wood, and fabric. And for a hands-free set up on a lawn, the poles can be staked into the ground.